They're the kind of people you instantly feel comfortable around. You can tell right off the bat that they're one in the same, and therefore perfect for each other. As we walked over the rocks and settled in for a few photos by the water, I could see Stephanie light up as if she were really savouring every moment of the engagement experience. That's how she is with most things...present, content, and positively lit up. 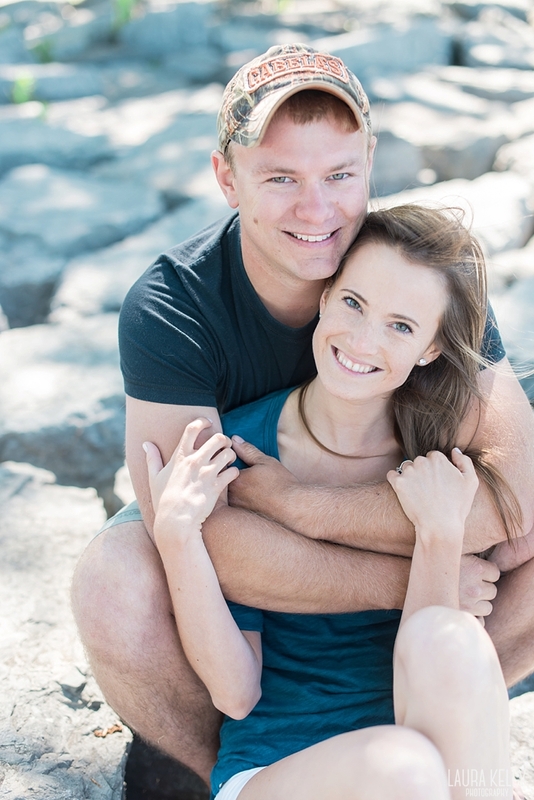 I am so happy to be photographing their wedding in Brockville in just over a month!